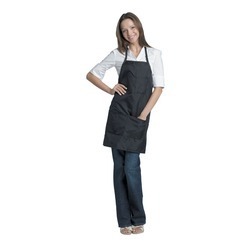 We are Manufacturer and Supplier of Salon Apron. Quality Salon Aprons & Colouring Capes made out of fine quality water proof fabric. Can be done desired Print Logo. We are one of the well-distinguished companies in the market that is into offering Beautician Apron. With very long years of experience in this niche, we are giving our customers the perfect array of Parlour Apron. They are available in many colors.